Discussion in 'West Asia & Africa' started by pmaitra, Sep 21, 2014. Expeditionary Corps # The UAE is launching another offensive along the Red Sea, actively involving the South Seymen. 2016 ), tanker MZKT 74135, a crowd of MAPs (some with a mortar) and countless amounts of Toyota. This time even crossed the administrative border between the provinces of Taiz and Hodeida, which is confirmed by the loss of high-ranking officials from #Southern_Resistance . General Abdul Hamid Al-Yahari was killed. # Khusity greet guests cheerfully, have already taken the position from Mokhi. Damned, do not give to sleep. The Saudi coalition launched an offensive on the western coast of Yemen, in the area of the strategically important port of Hodeida. It is believed that the main supply line of the Huti by Iran passes through Hodeida. Intervention by the Saudi coalition to Yemen led perhaps to the largest rocket confrontation in the desert since the 1991 Gulf War. The launches of tactical missiles became one of the symbols of the war in Yemen. Even before the events of 2015, Yemen had a significant arsenal of operational and tactical ballistic missiles. Even during the civil war of the 90s, the sides used the Soviet 9K72 missile systems (in the world more commonly known as SCUD) and 9K79 ("Tochka"). In the 1990s and before the early 2000s, the country also widely imported North Korean ballistic missiles from the same SCUD family. Pyongyang also provided assistance in the organization of missile services and the necessary training of local personnel. But under US pressure since 2003, the parties' cooperation was terminated. Yemen purchased missiles for its complexes "Elbrus" in the DPRK. The standard "Shahab-2" (copies of Hwaseon-6) has a range of 500 km with a BC weight of 747 kg. Moreover, even one reduction in the mass of the warhead by one-third, the maximum range of the missile was increased to 800 km. Before the outbreak of the civil war, the Yemeni army had three missile brigades, armed with missiles of the complexes 9K52 Luna-M, 9K72 Elbrus and 9K79 Tochka. Already in the course of the conflict, a new alteration of all the same "Hwaseon-6" was presented, but already under the name "Burkan-2" it was just a test with a combat launch, which was announced on February 6, 2017. The Saudi coalition from the outset understood the threat posed by the operational-tactical missile systems in the armed forces of Yemen. Already at the first stage of the intervention, code-named the "Resistance Storm", attempts were made to destroy the warehouses on which the missile stock was kept, as well as the mobile missile systems of the Yemeni army. In April 2015, the command of the coalition reported on the complete elimination of the missile threat from the hussites. However, these rumors were greatly exaggerated. 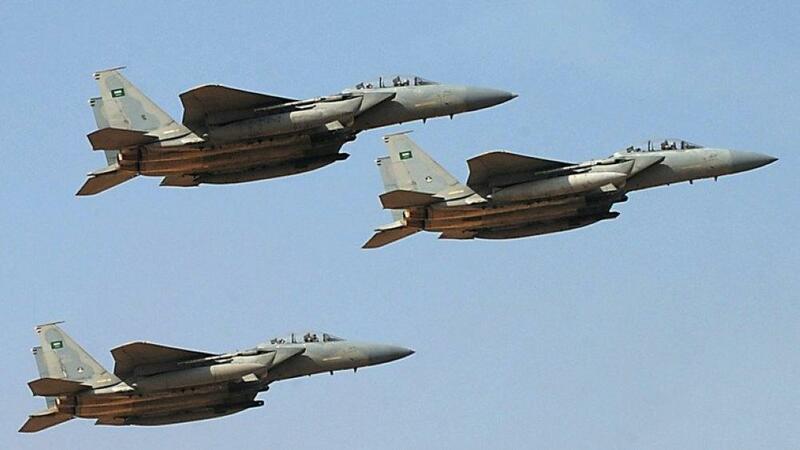 Already on May 25, the first strike was struck at the Saudi base on Khamis Mushait, according to unconfirmed reports, the Saudi army lost several aircraft. In the future, rocket attacks on objects in Saudi Arabia have become an integral part of this conflict. Even before the conflict began in the border areas of Saudi Arabia, anti-aircraft defense complexes "Patriot" were deployed. On June 6, 2015, the leadership of the KSA pathetically stated about the interception of the Yemeni missile over the same Hami Mushait. However, in fact, on this day, 12 Scud missiles were fired, of which only three were intercepted by Saudi air defense. The statement about the interception of most missiles was a propaganda lie for the Saudi population, which psychologically turned out to be unprepared for strikes on its territory. In fact, even the American calculations of the Patriot missile system during the Gulf War intercepted no more than 50 percent of Iraq's Scuds. The effectiveness of the launches of poorly prepared Saudis did not exceed 25 percent. Due to the improved range of missile destruction to the detriment of their accuracy, a large part of the missiles, released by Yemenis fell in the desert, without causing damage to the enemy, but the psychological effect of missile attacks on the territory of Saudi Arabia, counting on a quick and anemic victory was huge. Along with the "Scuds" husits used and missiles "Tochka-U", which have a higher accuracy of defeat. Rocket rain fell on the territory of Saudi Arabia. The apotheosis of missile attacks was the hit of the "Tochka-U" rocket into the base camp of interventionists and collaborators in the Yemen province of Marib on September 4, 2015. As a result of the attack, over one hundred interveners and collaborators of the collaborator Hadi were killed. Among the dead were 55 soldiers of the United Arab Emirates, which caused a shock among the population of one of the key aggressor countries. The rocket attacks of the hussites continued with enviable permanence. So, on December 14, 2015, the commander of the special operations forces of the KSA was destroyed by a missile attack on Saudi positions. In January 2016, as a result of another missile strike at the Al-Anad base, the coalition control center for unmanned aircraft in Yemen was destroyed. During the year 2016, the hussites continued to shell the territory of Saudi Arabia with enviable regularity. In response to the bombardment of the Air Force coalition with frenzied activity launched a hunt for mobile launchers husitov. However, the effectiveness of air hunting was extremely low. Khusit masterfully used the tactics of "Beat and run". Immediately after the start-up, the units immediately changed their positions, which ensured the extremely low effectiveness of the air strikes of the coalition. On the contrary, often successful launches of missiles at the coalition facilities both in the territory of Yemen and directly in the CC led to dozens of dead servicemen. The new 2017 added to the problems of the Saudi coalition. So, on February 6, the areas surrounding the capital of Saudi Arabia, Riyadh, were subjected to a missile attack. This event caused a stir in several world media. The inhabitants of the capital of interventionists ceased to feel safe. On March 17 and 20, 2017, Saudi Arabia's air defense forces announced the interception of a ballistic missile heading toward the city of Jizan, which is located in the south of the country, and also reported the interception of 4 ballistic missiles launched by the Khusites towards the Saudi cities of Khamis Mushait and Abha on March 28, 2017. 22 July 2017 Husits published a video of the launch of the Burkan-2 (or Vulcan-2) ballistic missile at the Saudi refinery in the city of Yanbu. It was reported that this missile flew about 930 kilometers, which is the longest distance that the Khusit rockets overcame. The Khusites said that the missile struck an oil refinery in the city of Yanbu, however, representatives of Saudi Arabia stated that after a fire that occurred at the power transformer located at the entrance to the refinery, SAMREF continued its normal operation. On October 29, the hussites announced their readiness to attack targets on the territory of the UAE. The Emirate leadership responded to these statements with a grin. As it turned out in vain. A real shock among the inhabitants of the KSA and the world public caused the launch of a missile at the airport of Riyadh, which occurred on November 4. Yes, the missile was intercepted by Saudi air defense, but the very fact of a missile strike terrified the population of Saudi Arabia. Counting on unpunished hunting for "wild Yemenis" the Saudis themselves were under attack. On December 3, the Yemeni husits launched a cruise missile in the direction of Barak station under construction, located in Abu Dhabi, the UAE. This cruise missile was identified as a Sumar class missile - the Iranian version of the Soviet cruise missile Kh-55. With a range of 2.5 thousand kilometers, the X-55 missiles are equipped with guidance systems that allow them to maintain a flight altitude of less than 110 from the ground level, thus avoiding radar detection. Местные источники в Йемене подтвердили то, что крылатая ракета не достигла цели, потерпев крушение в расположенной на севере Йемена провинции Эль-Джауф. По опубликованной в твиттере информации эмиратского государственного новостного агентства WAM, ОАЭ уточнили то, что обладают системами ПВО, способными ликвидировать любую угрозу любого типа или происхождения, добавив также то, что АЭС в Абу Даби была хорошо защищена. Причины крушения неизвестны, однако, ими мог стать отказ техники. В целом, применение ОТРК хуситами и союзных им подразделений армии Йемена сыграли важную роль в ходе конфликта.Несмотря на малый урон, причиненный ракетный ударами КСА, моральный эффект от ракетных йеменских ударов не позволил интервентам чувствовать свою территорию защищенной.Блестящей бесконтактной войны не получилось. Население КСА и ОАЭ стало задумываться о целесообразности йеменской интервенции. The Yemeni husits continue to stop the coalition's attempts to advance towards the port city of Hodeida. The Yemeni houthiscontinue to strike at the "gut" of the coalition's attack on the city of Hodeida. In the photo, the destroyed MRAPs of Caiman and Oshkosh M-ATV. Map of the current situation in Baikhan. The red arrows show the initial movement of the Hachi army and the resistance of the Southerners, the blue areas they captured today, the green is still under Khusi's control. Photo: Pickups captured from the houthis by their enemies. Saudi Arabia intercepts ballistic missile, fired by Yemen Houthi rebels, towards the capital Riyadh. @bhramos is it true taht houthis are losing ? I check the livemap ,seems they lose some eastern part of their territory too and yemeni govt too capture some ISIS-nusra area in the time . JEDDAH: Iran-backed Houthi militias are keeping abducted Yemeni civilians imprisoned in chains, and forcing them to wear thin prison clothing in sub-zero temperatures. Yemenis illegally detained in the Houthis’ “political security” jail in Sanaa have been denied family visits, and relatives are banned from bringing them food, water, medicines and clothes, or to check on their well-being, the Mothers’ Association of the Kidnapped Yemenis said on Sunday. SANAA, 25th December, 2017 (WAM) -- A failed missile test by the Iran-backed Houthi militia has killed 10 family members in the Yemeni capital Sanaa. The official Yemeni News Agency quoted local sources as saying that a missile launched by the rebels from park Farah Land fell short of its target in the nearby Asr district, leaving 10 persons from one Yemeni family killed. In the meantime, two Houthi elements were killed and one injured in an attack launched by the Yemeni National Army and Resistance in the village of Al Barakna near Taiz. Military sources told the Agency that the Arab Coalition Forces have targeted rebels' military reinforcements, including armoured vehicles, east of Taiz, leaving a number of Houthis either killed and wounded. Houthi rebels on Thursday fired a "ballistic missile" at a military camp in Yemen's Maarib province east of capital Sanaa, according to a Yemeni military source. The source, speaking anonymously due to restrictions on speaking to media, said the missile had targeted eastern Maarib's Al-Ruweik military camp. Ali Mohsen al-Ahmar, vice president of Yemen's internationally recognized government (now based in the port city of Aden), had been visiting the camp -- along with several Yemeni military officials -- at the time of the attack, the source said. According to the same source, the missile fell to earth close to the camp without exploding or causing casualties. Earlier Thursday, Houthi spokesmen appeared to confirm the missile launch, according to Yemen's Houthi-run Saba News Agency. "The Al-Ruweik camp was targeted after surveillance operations revealed the presence there of large concentrations of mercenaries and invaders," the news agency quoted a Houthi spokesman as saying in reference to Saudi-backed Yemeni government forces. Anadolu Agency has yet to independently verify the claims. Yemen has remained dogged by violence since 2014, when the Shia Houthis overran much of the country, including capital Sanaa, which they have retained until today. In 2015, Saudi Arabia and its Sunni-Arab allies launched a wide-ranging military campaign aimed at reversing Houthi gains and shoring up Yemen's pro-Saudi government. # houthis warned #Somaliland and #Eritrea that the #UAE bases in their ports #Berberaand #Assab are legitimate targets for Yemeni rockets. After this statement of the hussites, the Somalis were visibly cheered up. There are rumors about a possible refusal from the agreement with the emirates. It should be noted that in the Hargeisa parliament, the decision to co-operate was accompanied by a big scandal and a brawl where local opposition members were sent out from the vote. In Yemen, a large Somali diaspora, perhaps through links in the diaspora, the hushits / # Iran will act as a soft power. From the Husitic controlled areas in the Taiz Peninsula to Hargeisa approx. 480 km, to Berbera approx. 400km. Not much compared to Riyadh. Houthis are not in full control where as the legitimate Government of Yemen backed by Arab nations and the Alliance are having upper hand and they are moving forward. Houthis Leader Abdullah Saleh have been killed in the war which has decimated the Houthis and even there are reports are houthis are giving up the fight in large numbers. GCC Airfroce will directly target the Houthis missile arsenal who are backed by the Iranians and Syrians, where as the Eritrea is already kept quiet as the UN Sanctions were placed on the Eritrean Government for arming warlords inside Somalia and the Somalian warlords have stopped fighting long time back. Sudan has recently did agreements with the Turkish Establishment for the port. Houthis doesnt have airforce , Iranian airforce doesnt operate in Yemen Airforce. Syrian Baath party is there just because of the Russian Forces on the ground. Iraq is like completely liberated. Blockade seems have been already placed on Suez Canal. The INS Kolkata, together with INS Trikand and INS Aditya, have made port in Durban as part of a goodwill visit to the city. The INS Kolkata, together with INS Trikand and INS Aditya, have made port in Durban as part of a goodwill visit to the city. During the visit, the warships will have professional interaction with the South African Naval Forces for enhancing co-operation and sharing the nuances of naval operations including combating maritime threats of terrorism and piracy. The Indian Navy has sent a ship to Tanzania for a hydrographic survey as part of its efforts to expand its presence in the Indian Ocean Region (IOR). INS Sarvekshak today reached Dar-es-Salaam, a major city and commercial port of Tanzania. It will undertake a "pioneer survey" of Pemba Island, which will include surveys of the Port of Wesha and Kiuyo and Pemba Channel in Tanzania, Navy spokesperson Capt D K Sharma said. After completing the survey in the waters of the African nation, the ship will proceed to Port Louis in Mauritius in December for a survey of the Grand Port.